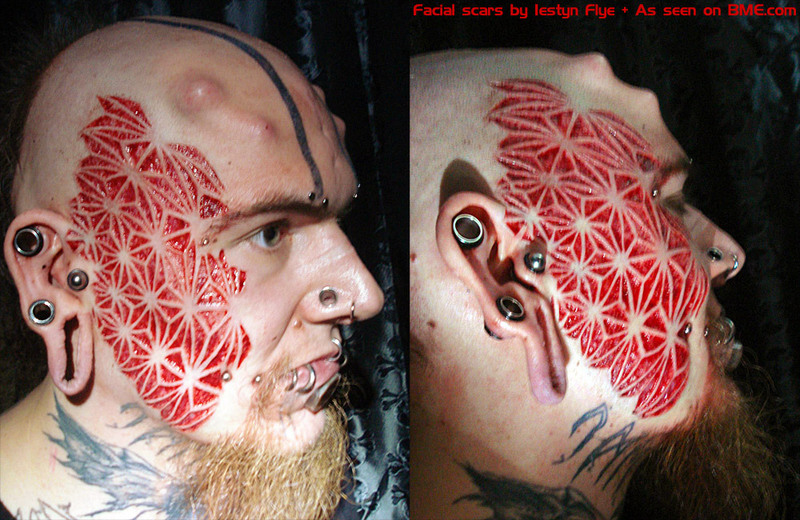 This entry was posted in ModBlog and tagged Facial Scarification, Flesh Removal, Flesh Removal Scarification, Skin Removal by Shannon Larratt. Bookmark the permalink. Really hope a follow up gets posted when this heals! There’s an update from Iestyn – it still looks awesome, and I assume it will continue to heal into something amazing.